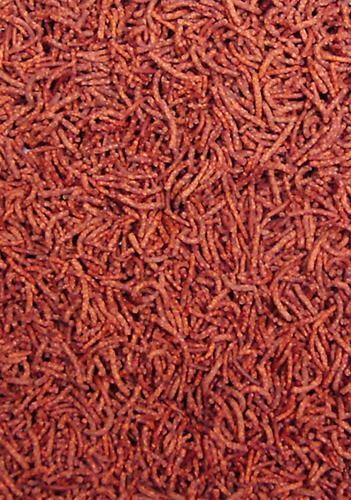 Bloodworm shaped pellets. 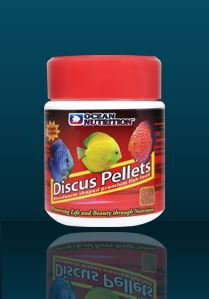 This premium food is ideal for all strains of Discus. It is specially formulated to enhance color, health and growth. 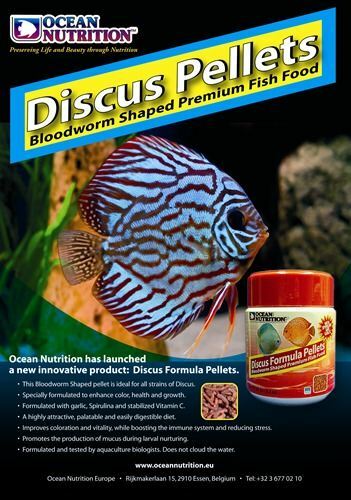 This highly attractive, palatable and easily digestible diet is the perfect food for the "King" of the aquarium. 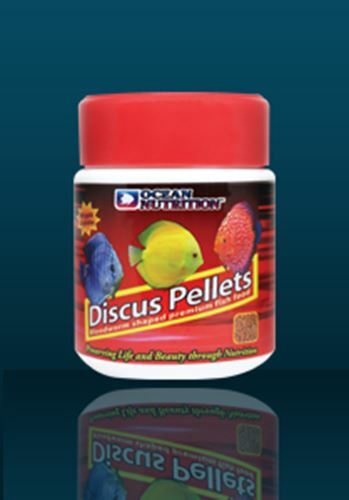 Baby brine shrimp, fish meal, wheat flour,lecithin, fish solubles, krill, squid, yeast, fish oil (preserved with ethoxyquin), Spirulina, garlic, vitamins (sodium, calciumascorbyl-2-phosphate (stabilized source of Vitamin C), retinol (Vitamin A), cholicalciferol (Vitamin D3), alpha-tocopherol acetate (source of Vitamin E), menadione (Vitamin K3), thiamine mononitrate (source of Vitamin B1), riboflavin (Vitamin B2), pyridoxine (Vitamin B6), Vitamin B12 supplement, niacin (Vitamin B3), panthothenic acid (Vitamin B5), folic acid (Vitamin B9), biotin (Vitamin H)), minerals (calcium iodate, manganese sulfate, magnesium sulfate, zinc sulfate, calcium carbonate, cobalt carbonate, copper sulfate, sodium-selenite), canthaxanthine, ethoxyquin (preservative), BHA (preservative), propyl gallate (preservative).